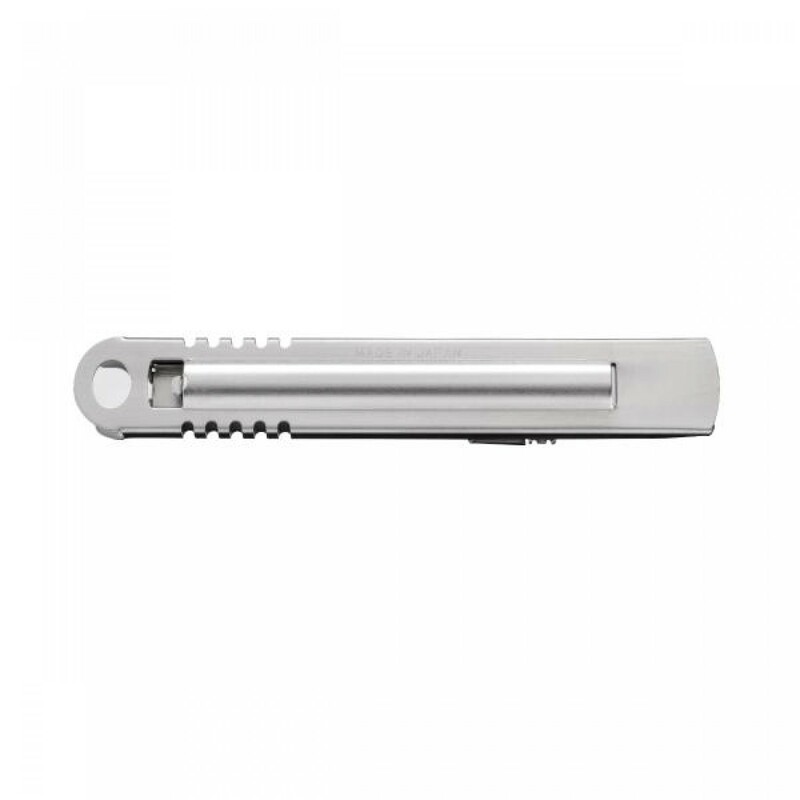 Introducing the SK-14 – a 100% Stainless Steel Self-retracting Safety Knife that is EASY to detect in food processing production. 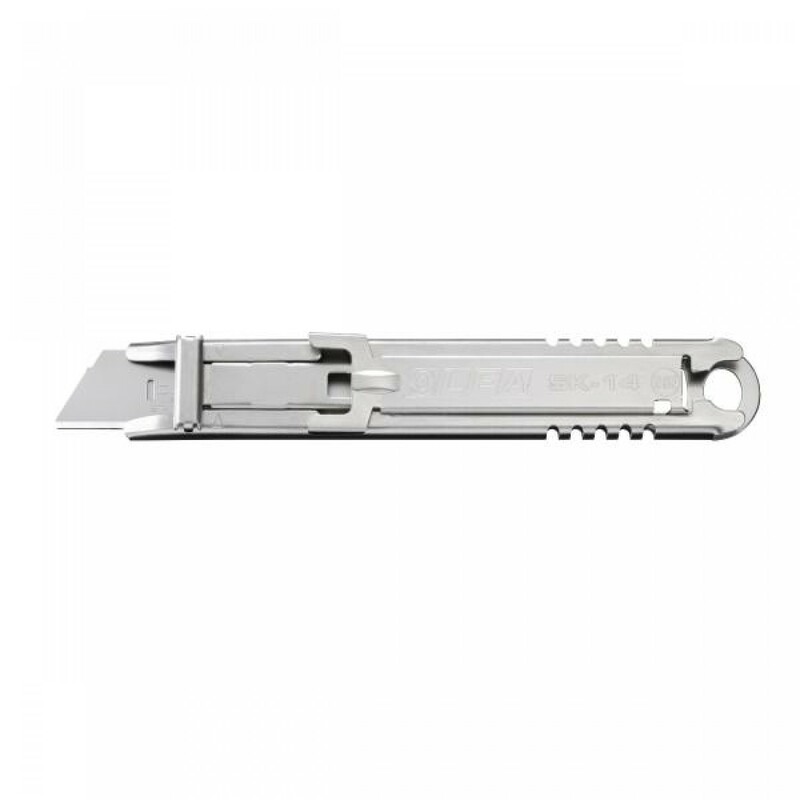 The pre-loaded stainless steel blade (SKB-2S-R/10B | #1134143) is fully metal detectable while the rounded-tip helps limit contamination from broken tips, making this self-retracting knife SAFE to use in even the strictest environments. 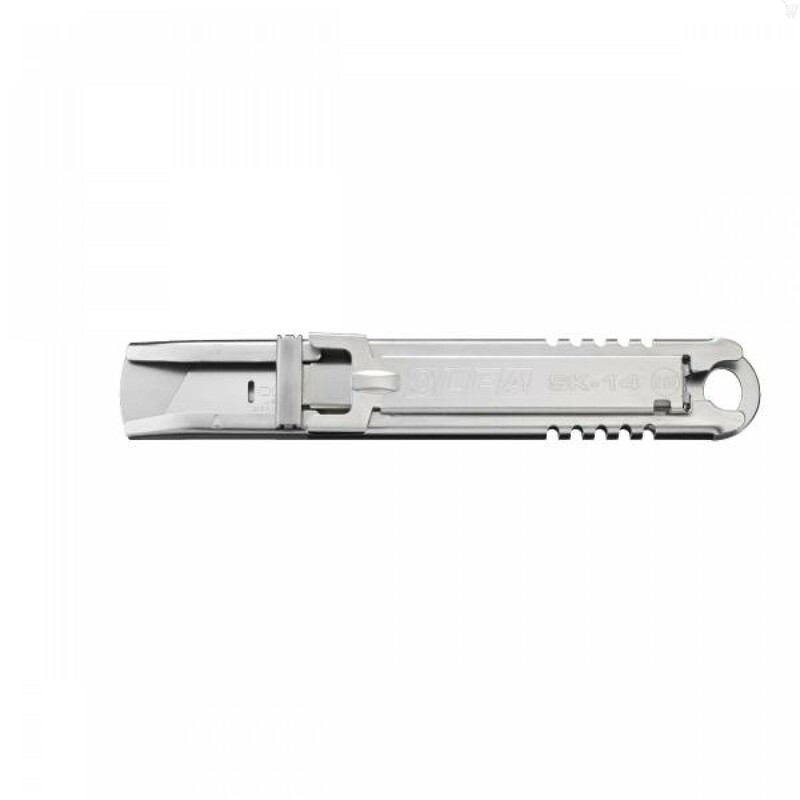 The handle also accepts OLFA standard-tip safety blades (SKB-2S | #1117957) as well. 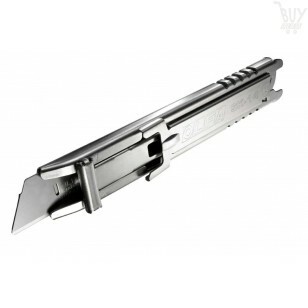 Flush vents and an open channel design make the SK-14 SIMPLE to sanitize and NSF Certified. The notched body and slip-resistant handle is comfortable for both right- and left-handed users. Good For: Use in food processing, pharmaceutical, and aerospace industries. Cuts light to heavy-duty materials such as cardboard, plastic bags and pouches, stretch wrap, film, foil, plastic strapping and more!